Family. For many, it's a part of the holiday season. And with Thanksgiving coming up tomorrow in the United States, it's a perfect opportunity to reflect on families in the Sherlock Holmes stories. And in doing so, we come to a rather sad conclusion: that many of the families in the Canon were not happy ones at all. Just what was it about these familial situations that caused things to go awry? 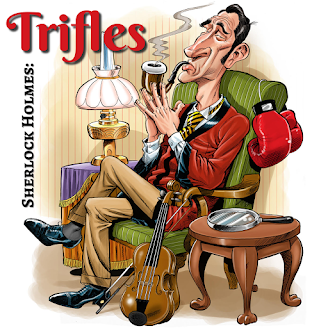 We explore that question in this episode of Trifles.